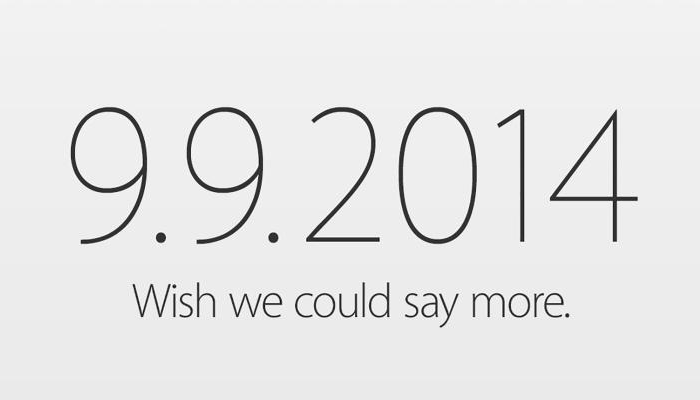 Any avid Apple fan will have been looking forward to this day for the past two weeks - I know I certainly have. In roughly 5-hours time Apple will be holding their signature keynote event in which it's expected that the Cupertino-based company will be unveiling a new iPhone '6', a wearable device (possibly a smartwatch named the 'iWatch,' 'iTime' or other variations of that sort) and a new payment system. The event it set to take place at 10am Pacific time, 1pm Eastern time or 6pm London time depending on your geological location and can be watched live on their website, through a 2nd or 3rd generation Apple TV or if you can't access any of those then Se7enSins will be providing a live-blog to keep you up to date with the proceedings. Leading up to the live event I'll be looking at some of the speculations, rumours and possibly leaked images that have already surfaced on the internet. Then, when the time comes, I'll be updating the thread throughout the hour-long event brining you the all the "important" announcements to one single thread. Additionally, if you'd rather just have the "breaking news" or announcements, then feel free to check out the Se7enSins Facebook and Twitter accounts where tweets and posts of the announcements (along with images of the devices) will be posted as they are unveiled. If you'd like to keep up to date and receive alerts as this thread is updated, feel free to press the "watch thread" button located at the top right of the article.